Over Christmas Break, we had a gathering in which I encountered a family friend. Amid a discussion, I learned that this person and his family currently own three Volvos, two of which are XC90s. Inevitably, I jumped at the chance to review the Volvos. 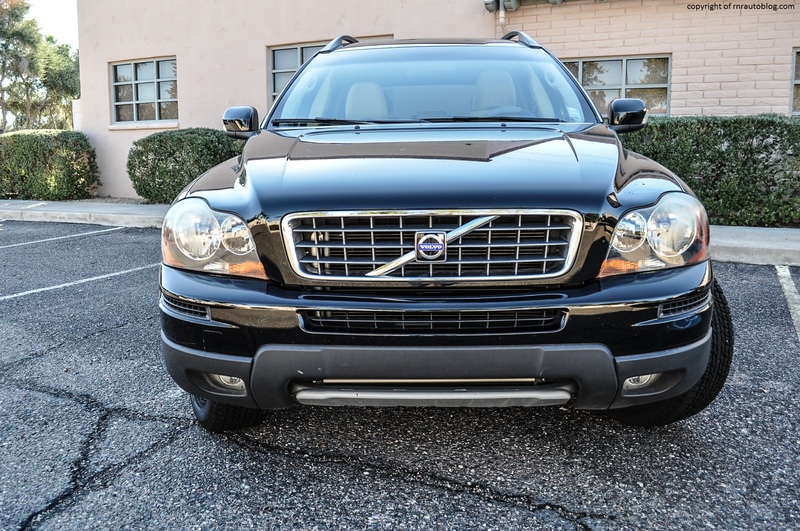 Much to my dismay, I learned that the XC90s are in fact essentially the same car with the same engine choice, albeit with slight cosmetic and trim differences. I thought why not just combine these two cars into a review? 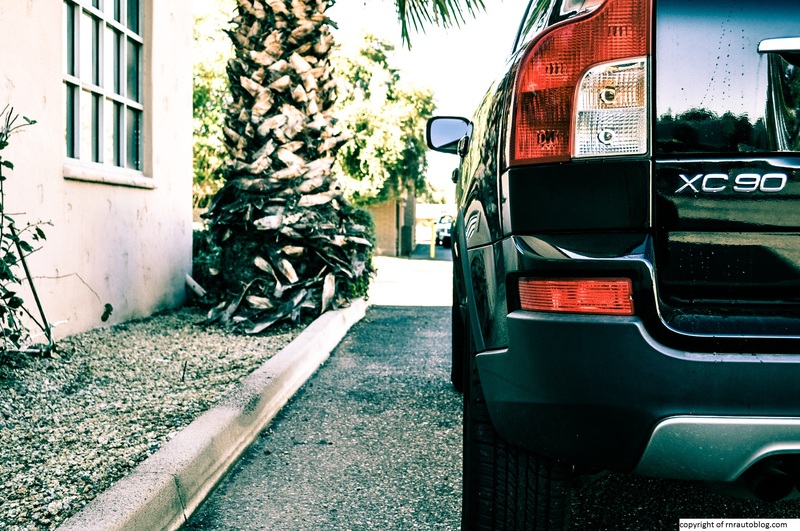 With the SUV boom taking over the market in the early 2000s, safety innovator Volvo found itself without a suitable SUV to capitalize on this newly emerging trend. 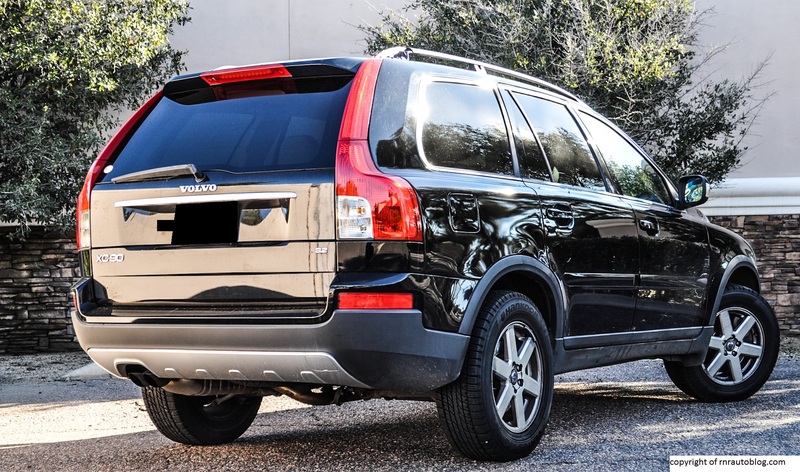 As a result, the XC90 debuted in 2002 as a 2003 model. 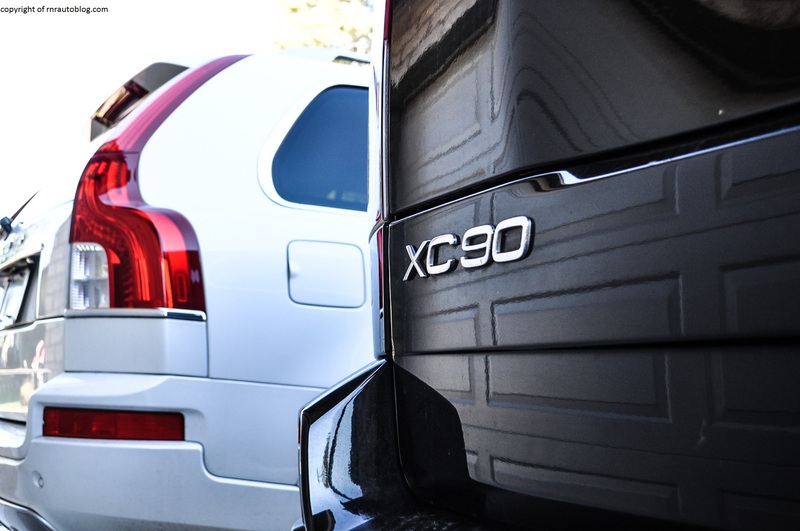 The XC90 was designed with safety and versatility in mind, two traits that appealed to families. It quickly became Volvo’s best selling vehicle worldwide (in 2005), and it garnered the North American Car of the Year Award in 2003. 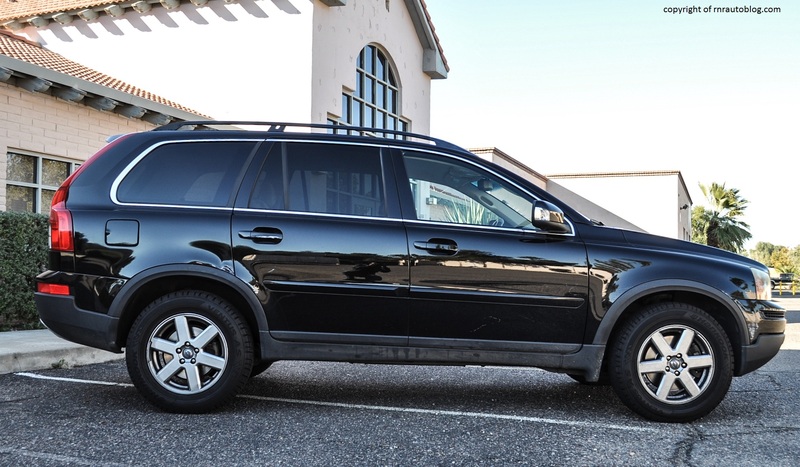 I remember reading one of Jeremy Clarkson’s books (A former Top Gear host), and when the Volvo XC90 was brought up, it was noted that he’s had three of them. I remember that he said, “The Volvo XC90 seems like it was designed by engineers who actually have children, not just read about them in books.” I thought, if Jeremy Clarkson, one of the most critical and irrational people on the planet likes the Volvo XC90, then it must be good. 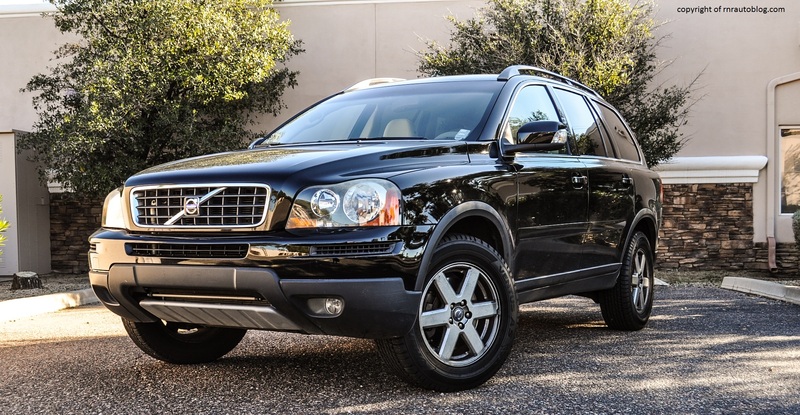 Let’s see if I feel the same one about these XC90s. 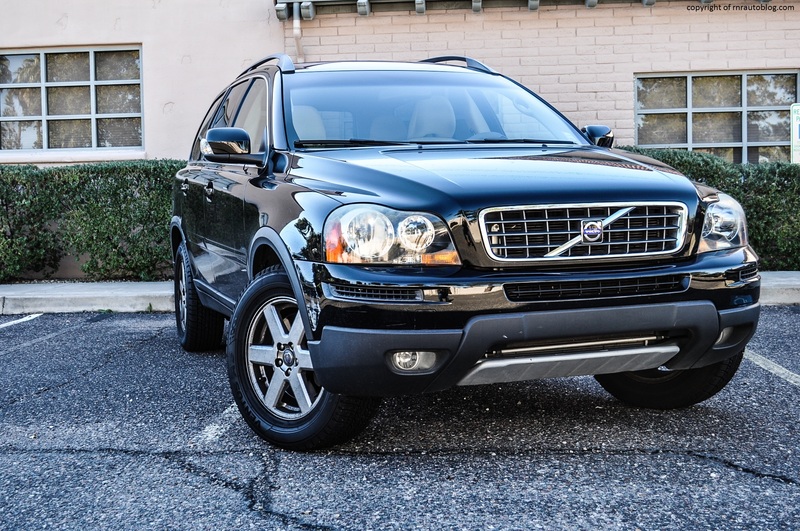 What I love about the design is that even though the first generation XC90 is more than 10 years old, it still looks fresh. This is partly due to the fact that it looks distinctive, and it has an uncanny ability to look both boxy and sleek. It would not look out of place in an IKEA showroom, and I mean that as a compliment. There is a Swedish aura to it. It just looks positively Swedish. 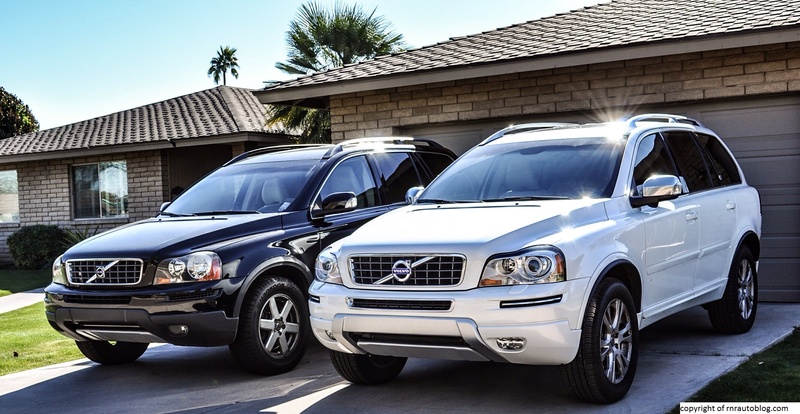 The XC90 was refreshed in both 2007 and 2013, but aside from some minor details, the 2007 and 2014 look similar. 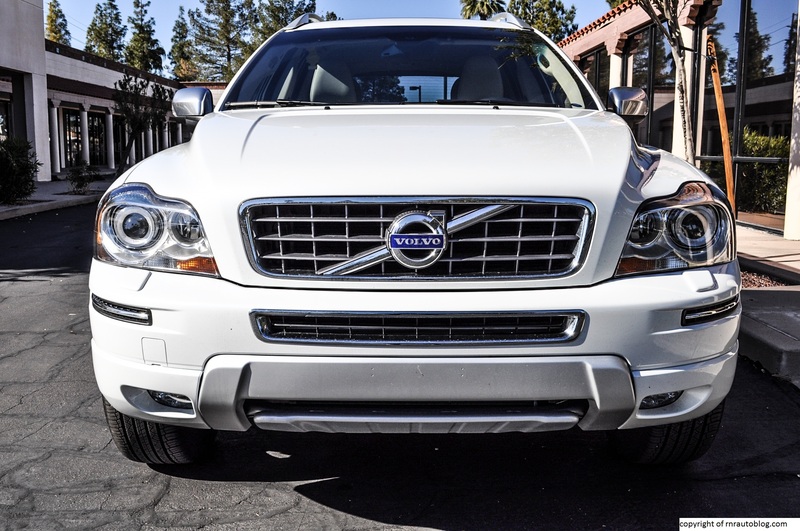 The 2007’s grille is cleaner and less flashy than the 2014’s boldly chromed grille. as for both, the headlights are large but stylish units. 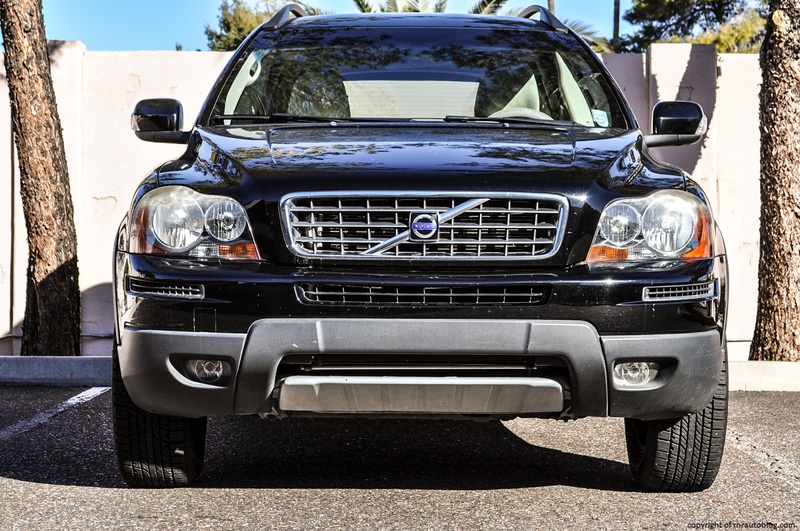 I like how the grille protrudes outward, giving it a truck like stance, but the overall effect (of the front) is smooth and sleek. The only thing that mars the 2014’s is the chrome outlets right below the headlights. They detract from the overall ambiance. 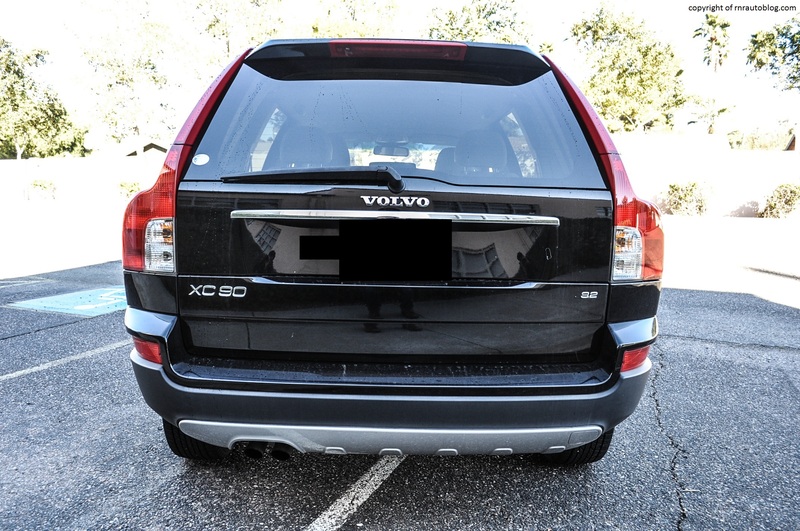 If you look at the side profile, you can see that the XC90 displays a conventional SUV profile. The hood lifts up from the headlights, and the cabin starts upright from the A pillar (front side window), and then tapers off slightly towards the rear. The spoiler sets off the rear nicely. However, I can’t but help wonder if it would look better without the roof rails. One neat feature that I like is the line from the headlight forms to develop a subtle shoulder line on the way to the rear lights. Another feature that I like are the taillights themselves. When viewed from the side, they look futuristic. Speaking of the taillights, from the rear, in search for a better word, they look cool. The rear is pretty simplistic, and the split liftgate is a nice touch (the rear liftgate is split into two). 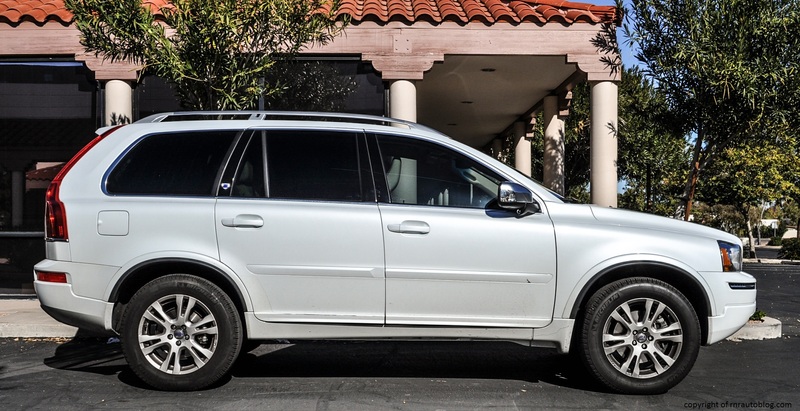 The interior is typically Volvo…austere in decor. 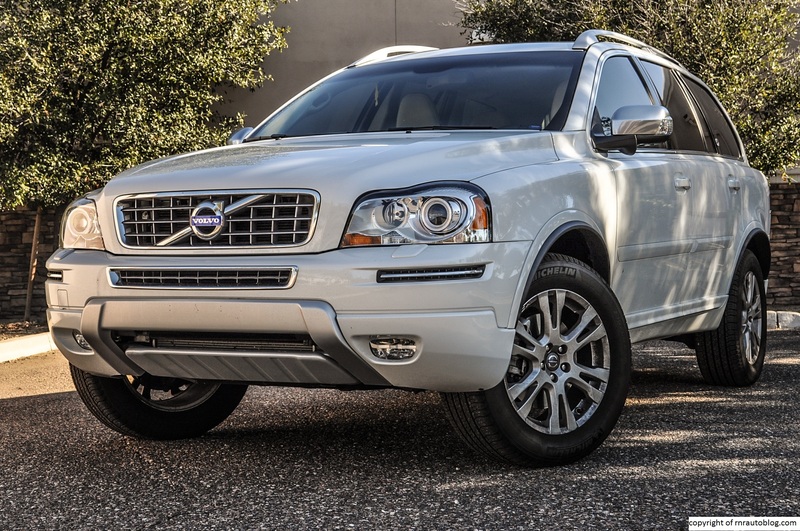 Given Volvo’s focus on safety and comfort, it is not surprising that the XC90 follows suit. In normal driving, it is adequate with quick steering, but body lean is relentless. The moment you turn the wheel, you can feel the body shifting its weight to the other side. In sudden turns, it gives the sensation you are about to flip the car over, eroding the driver’s confidence. This car does not like to be hustled, and the light and sensitive steering makes it tricky to keep it in a straight line. The 2014’s steering is better than the 2007 as it is slightly heavier, and there is a modicum of feedback. However, in both, the steering is slow to respond as when it is turned, the wheels take a second to act. The 2007 cossets poor road imperfections well, although on random sections of the pavement, it becomes floaty. By contrast, the 2014 is devoid of any sort of bounciness, but it is noticeably stiffer as more bumps are felt in the cabin. Out of the two, I would pick the 2007 for road trips. 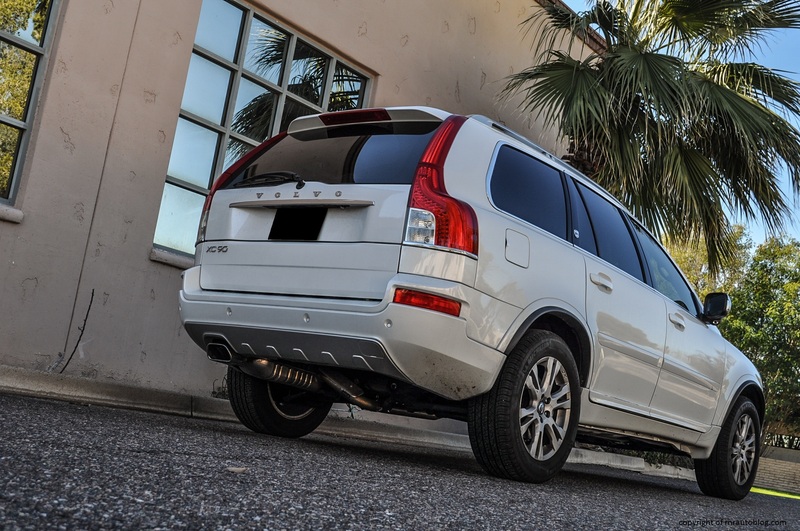 When it debuted, the XC90 came with either a 208 horsepower 2.5 liter five cylinder and a 268 horsepower 2.9 liter twin turbo six. For 2007, the five cylinder was replaced by a 3.2 liter inline six, and the twin turbo replaced by a Yamaha-supplied V8 producing 311 horsepower. 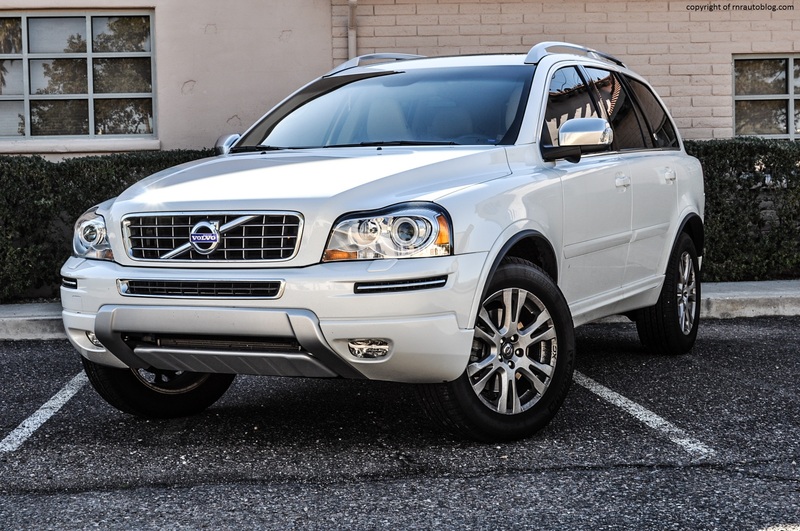 However, the V8 was dropped after 2011, and XC90s were only available with the 3.2 regardless of trim level. 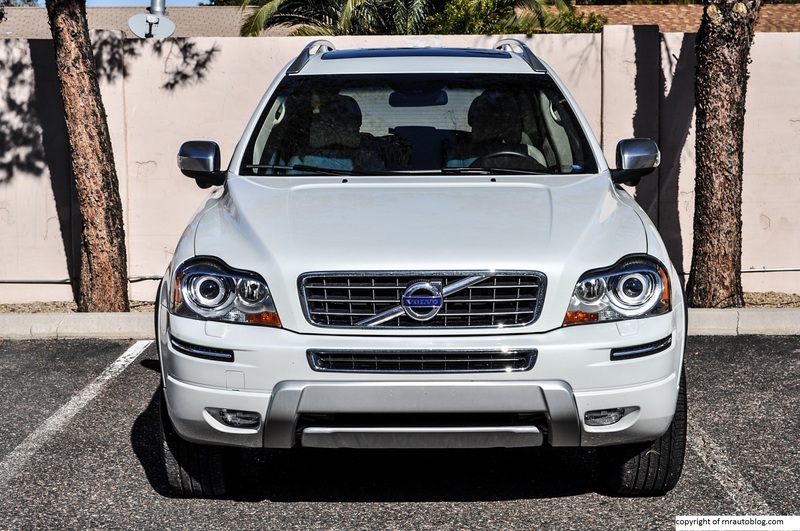 The 3.2 liter straight inline six producing 240 horsepower (235 hp in the 2007) might work in Volvo’s smaller and lighter sedans such as the S60 or the S80, but in an SUV weighing almost 2 and a half tons, it feels underpowered. As with inline six engines, power is delivered in a silky smooth manner, but it feels strained getting up to traffic speeds. You really have to punch it to get more out of it, and the transmission shifts to lower gears too easily. Curiously, the 2014 has noticeably more torque steer than the 2007, and it peels its tires easily when you jump the throttle. I guess a five horsepower gain makes a difference. The six speed automatic transmission feels better calibrated in the 2014 than the 2007 as the latter shifts more abruptly. Gas mileage is middling; expect 18 mpg overall for the FWD versions (AWD versions do worse). Fun fact? 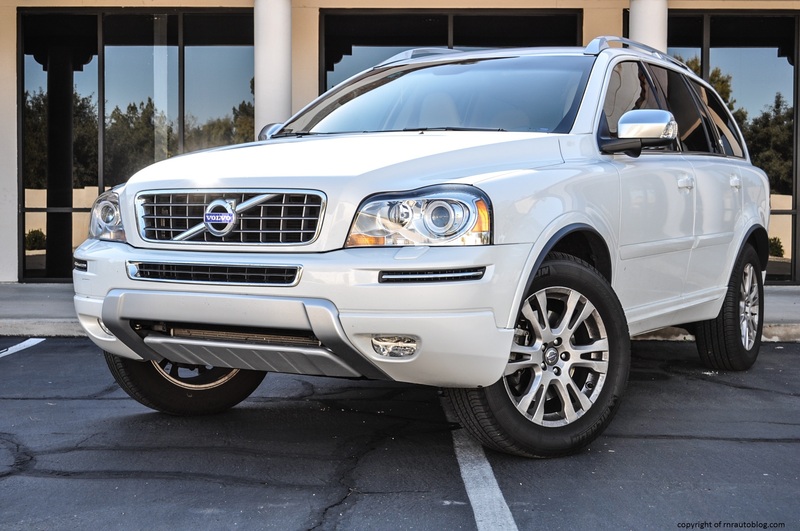 This Volvo XC90 was available with a diesel and a five speed or six speed manual transmission in Europe. Lucky Europeans. The cabin is blissfully quiet with hushed wind and road noise. It is a shame that the 3.2 is unrefined, with a boomy engine note that feels more suited to an economy car than a luxury SUV. The interior in both are nicely finished with soft touches abound and well-fitted panels. Both XC90s’ seats provide excellent support although I find the 2014’s leather seats more comfortable than the 2007’s cloth seats. 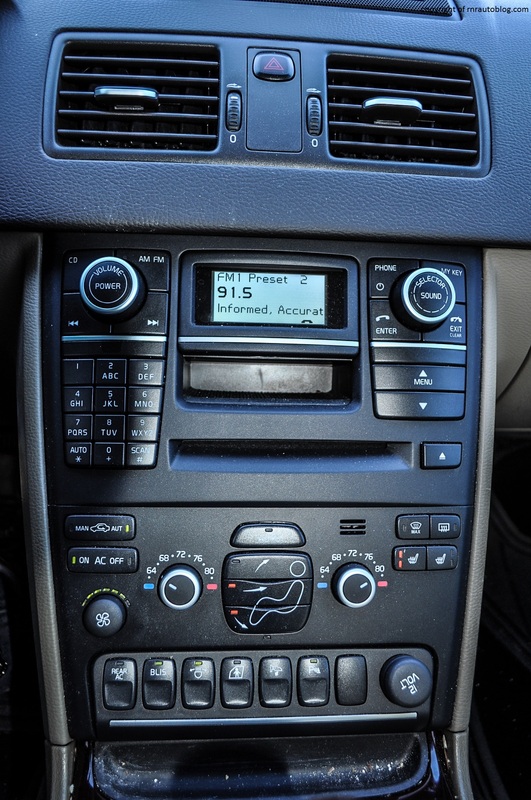 However, when I think of the controls, I think of the 2014’s confounding navigation system. I like to think I am a logical person in the sense that if something is straightforward, I will understand it. Just like how if there is a formula for a physics problem, I can understand it, but learning derivatives in calculus is another story. 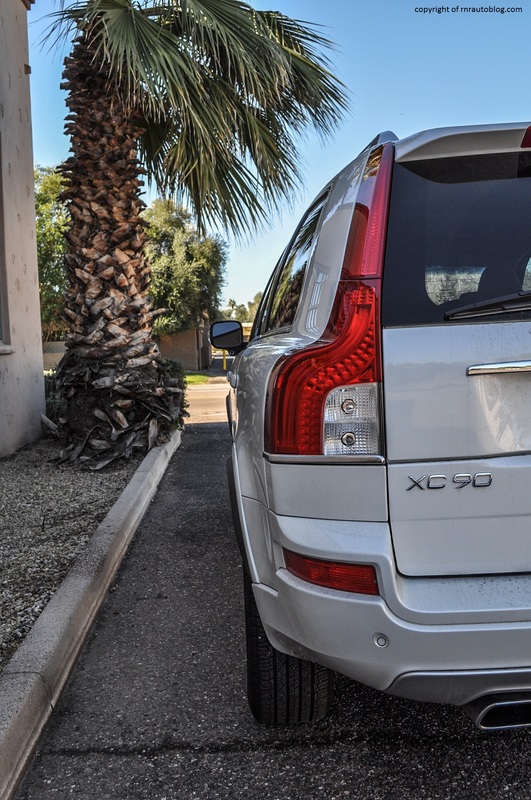 Back to the XC90. The screen rises out of the dash, and there is the “traffic safety warning” and “press Enter if you confirm the agreement.” Problem is, I spent literally 20 minutes pressing every button so I could actually use the navigation system. Nada. I gave up trying to figure it out. I could have checked the manual, but for some reason I was too frustrated and full of pride to do so. I looked it up online, and apparently the navigation controls are hidden behind the steering wheel! Thank goodness it’s 2015 because your smartphone can be your GPS instead. 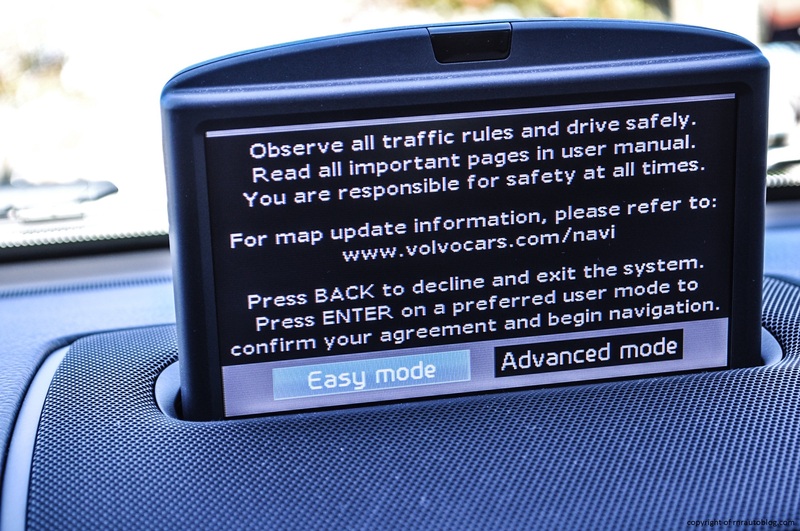 The small screen in the controls cluster is outdated in both XC90s with gritty graphics and scrunched letters, making it hard to read at a glance. 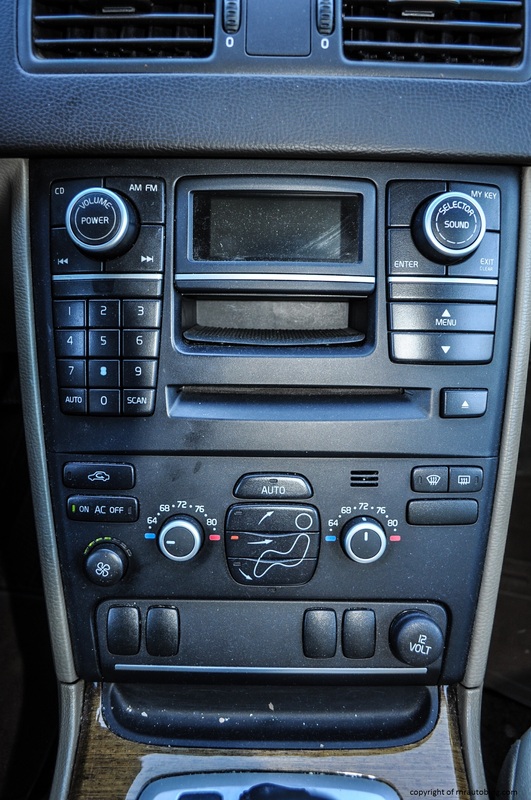 The climate control system is easy to understand, and it has the nifty design of a human body for the airflow controls. 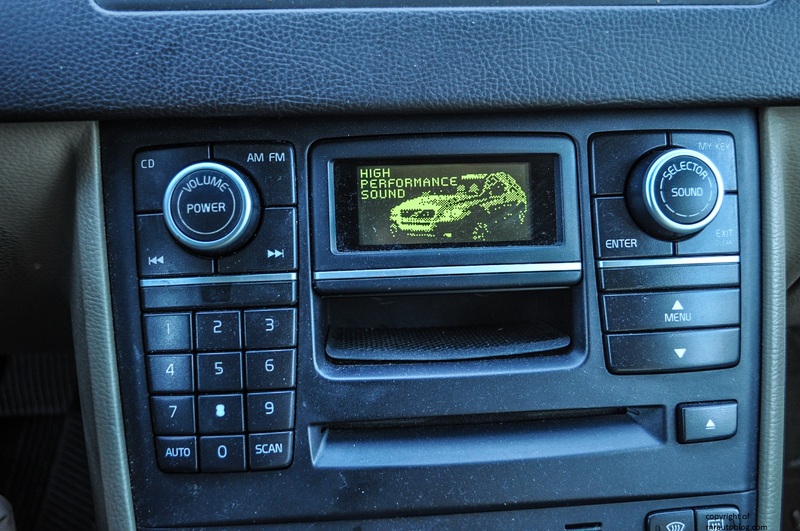 The gauges are easy to read, and visibility is decent thanks to slim pillars. The versatility that the Volvo offers is where it starts to shine. Each of the middle seats can be reclined and pushed fore and aft. Even the center middle seat has an integrated booster seat, offsetting the need to buy one. Access is excellent, especially getting into the third row seat. However, the third row is suited only for kids. The cargo area is a decent size with the third row folded down. Folding the second row seats down expands the already roomy cargo space. For a family SUV, cabin storage is surprisingly lacking. There are cup holders, but I expected more nifty storage solutions that you find in other family SUVs. 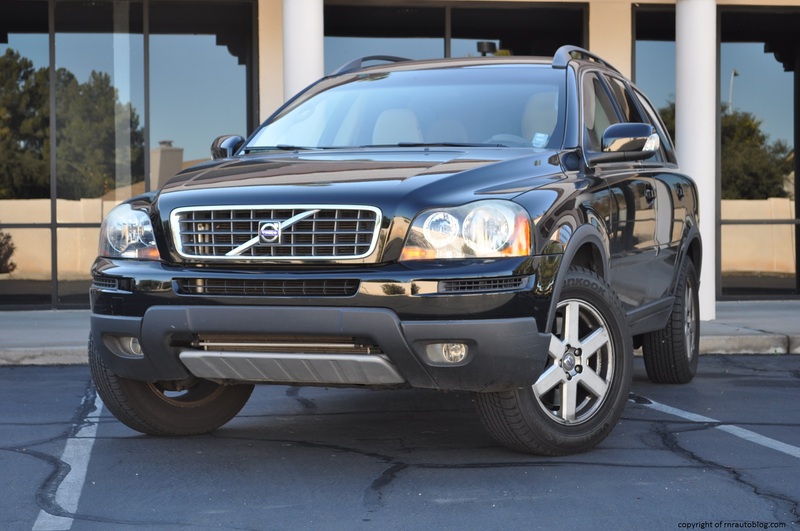 A second generation XC90 just launched which is a relief considering that this XC90 was on sale for 12 years (2002-2014). In that time, the Toyota Camry underwent three redesigns., we endured three presidential elections, and the XC90 was present for the birth of Facebook, Instagram, and Snapchat. It is old. But the thing is, I see why the XC90 is popular, especially in Europe. It is the right size, it is nicely appointed, it is very safe, and it is super practical. It rides decently enough, and it feels like a Volvo. Whenever you sit in a Volvo, you just feel safe, and it feels built like a tank. 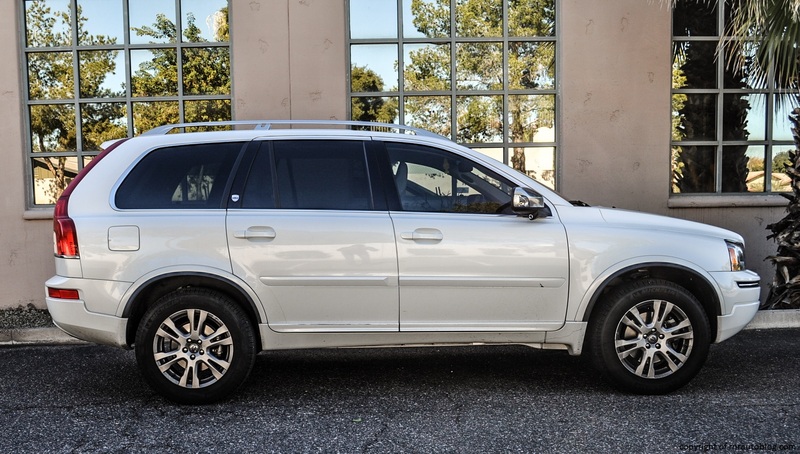 The owner of the 2007 loved it so much that he bought a 2014 model just for the safety that Volvo brings. However, there is one thing that prevents me from truly liking it. This is going to sound very pessimistic, but the 3.2 liter is too little engine for this car. Had it been fitted with the Yamaha V8, it would have completed the package. 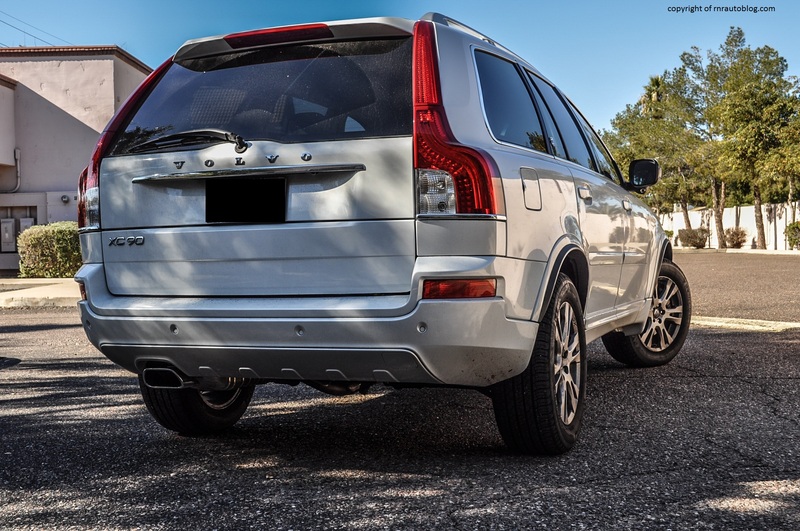 Thus, if you are looking for a safe and family friendly SUV, the XC90 is a sound choice, given that you get the V8, or you could just wait for the new XC90 to arrive at the dealers. 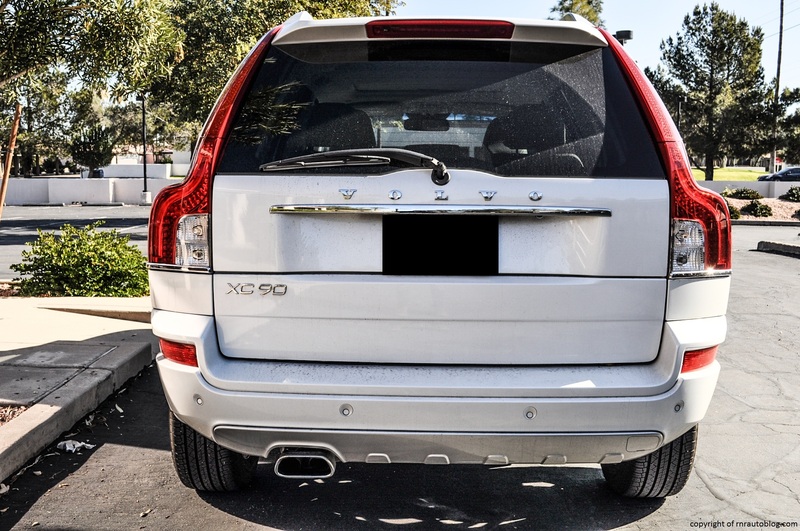 It looks to be an even better SUV than this XC90.